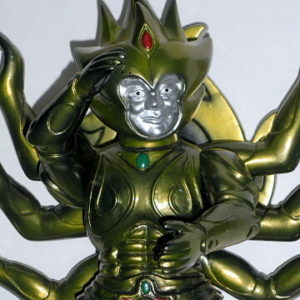 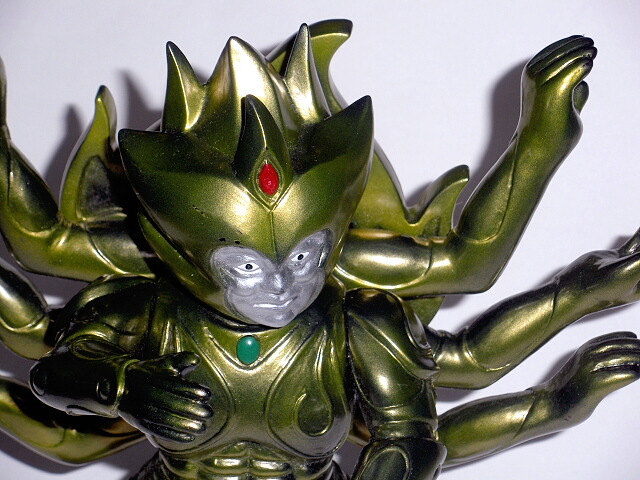 Here is the HARD TO FIND Take-Majin Monster from the latest Guilala movie. 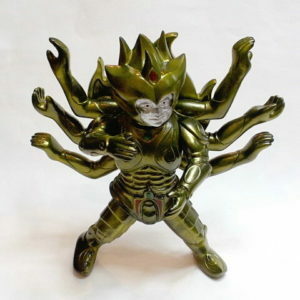 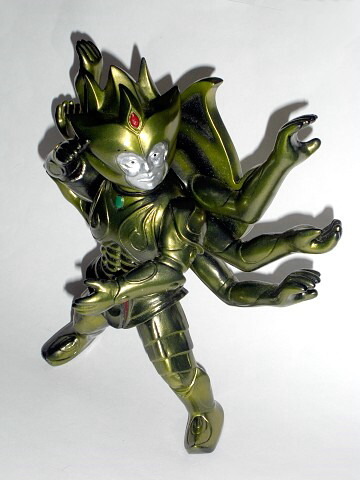 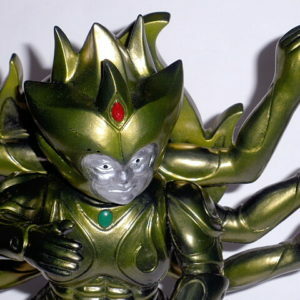 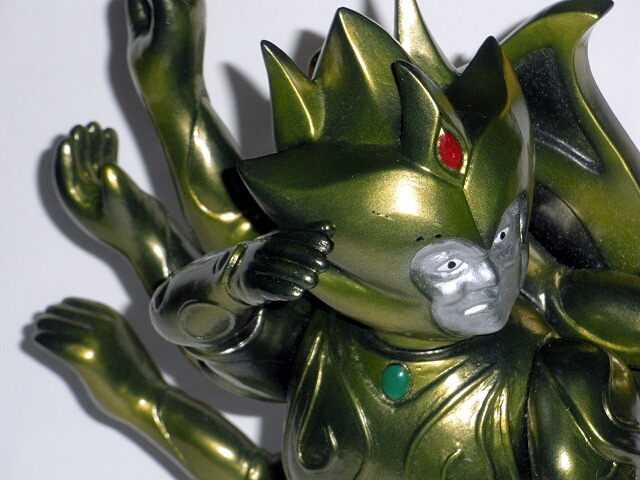 This AMAZING 8 armed figure was produced in 2008 by Marmit Company. 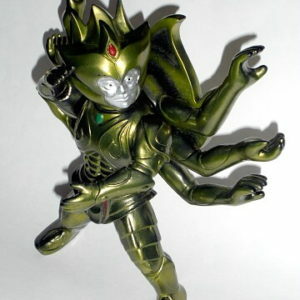 This monster is played by “Beat” Takeshi in the 2008 satiric re-make of the 1967 movie Guilala The X from Outer Space. 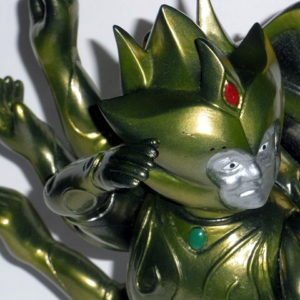 The Hard Vinyl Figure is painted a glorious golden bronze. 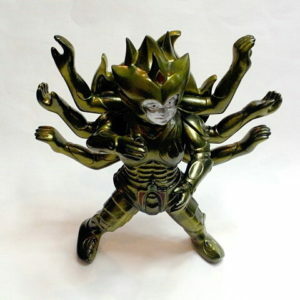 It stands approximately 9 inches tall and is articulated at the feet, head and two front arms. 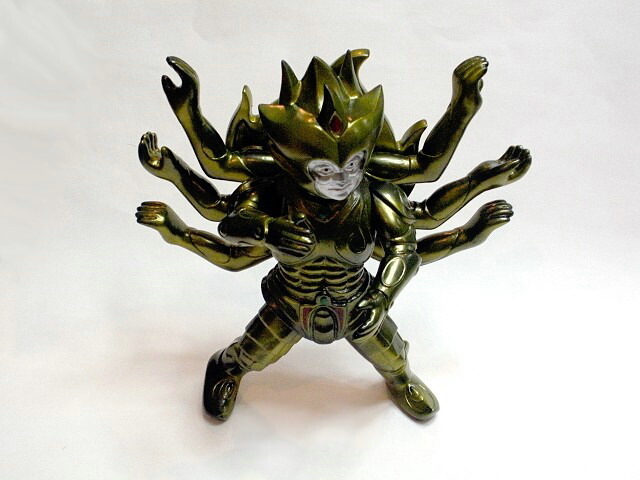 The back 6 arms do not move. 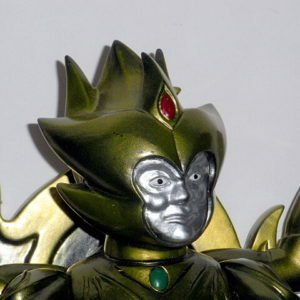 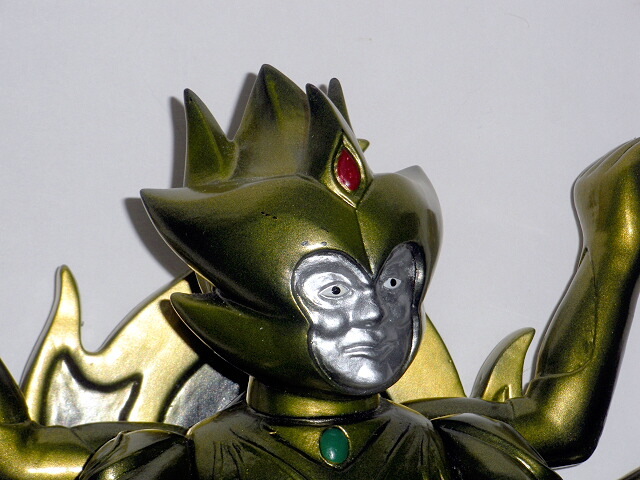 It has slight paint rub on its left eyebrow area of the mask. 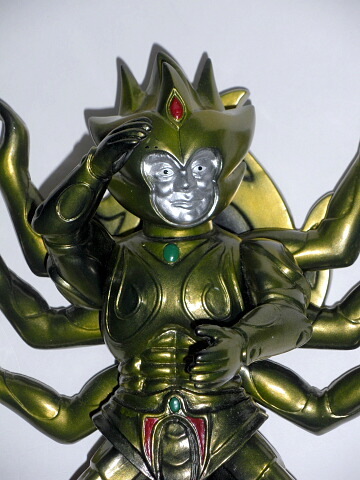 It does not come with bag and header.